In 2018, the world’s billionaires saw their wealth grow by $2.5 billion every day while the world’s poorest 3.8 billion people experienced an 11 drop in their wealth, according to a new report by Oxfam, a charity organization that tracks income and wealth inequality throughout the world. The report noted the wealth of the rich grew by 12 percent last year. Much of that growth was because the billionaires extracted it from the lower 99 percent using their levers of political and judicial power, having corrupted democratic institutions in most nations of the world, most notably in the United States. So yes, the wealth of the rich grew at the expense of the lower 5O percent of the world’s population and most everybody else. 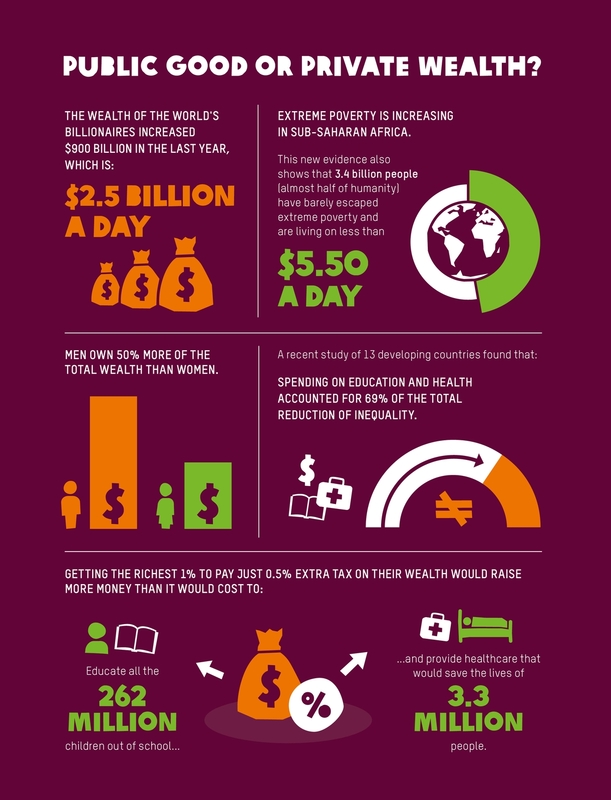 In the United States, 30 people hold as much wealth as the poorest half of the population. The Trump/Republican Party tax cuts favoring the wealthy and their corporations predominantly benefit men, who own 50 percent more wealth than women globally and control over 86 percent of corporations. “The recent US tax law is a master class on how to favor massive corporations and the richest citizens,” O’Brien said. Corporations, coincidently, much like the corrupt corporate wing of the United States Supreme Court, are tools of the rich and are used to tilt the economic, financial and political markets in their favor, and against the interests of the 99 percent. Globalization is a primary conduit for redistributing income from the 99 to the 1 percent. Exporting US jobs via free trade treaties, for example, is a perfect example. Income and wealth are redistributed by these government negotiated treaties as US jobs are exported; the difference between the old higher U.S. wages and benefits and the new poverty wages in third world nations is redistributed to the rich via higher corporate earnings, rising dividends, and surging share prices. The US workers, if they are lucky, might qualify for unemployment insurance for a few months. Our economy has been broken by the rich using their ill-gotten gains to purchase the favor of politicians and US Supreme Court Justices, either with legalized bribes called campaign contributions, jobs for spouses, and/or their political and judicial actions are guided with a strong belief in class solidarity. Meanwhile, hundreds of millions of people live in extreme poverty while huge rewards go to those at the very top. The number of billionaires has doubled since the financial crisis and their fortunes grow by $2.5 billion a day, yet the super-rich and their corporations are paying lower rates of tax than they have in decades. The human costs, such as children without teachers, clinics without medicines, are huge. Piecemeal private services punish poor people and benefit the so-called global elites, who should be more accurately known as the global parasites. The Dow is up 40% since Trump took Office? So what is wrong with the US economy? Besides the obvious grammatical errors, what is wrong with the above tweet? For starters, while the stock market has gone up since Trump became president, it has also gone down. The Dow reached a peak of $26,616 in January 2018 and dropped a couple thousand dollars into the $23,000 to $25,000 range since then. Most of the major sundry stock market indexes have dropped since January, such as the Standard and Poor 500. The exception to this has been the NASDAQ, which peaked on June 12th and has been falling for the past month. The Trump tax cuts, in effect, haven’t done squat to bolster the stock market bubbles, though they may have delayed the current stock market bubble from completely imploding. As you can see from the graph above, investors and institutions, such as corporations, are borrowing in greater and greater amounts in order to buy shares, thereby keeping share prices higher than they would otherwise be. In addition, the Republican/Trump tax cuts haven’t done anything to stimulate the US economy. CNBC reports the vast majority of tax cuts the rich and their corporations have received are going toward stock buybacks, dividends, mergers, and acquisitions. Typically, mergers and acquisitions result in job losses. CNBC expects corporations to spend $2.5 trillion this year on these things, and most of that money is coming from the tax cuts and retained earnings. All of this is being done to enhance share prices, which also jacks up CEO compensation. This means the corporate tax cuts are being used to avert a massive popping of the current stock market bubble, which means we’re nearing bear market and recession territory. All of which suggests the big money boys are throwing good money after bad, like tossing more money into a failing Ponzi scheme, which is kind of what the US stock markets are. 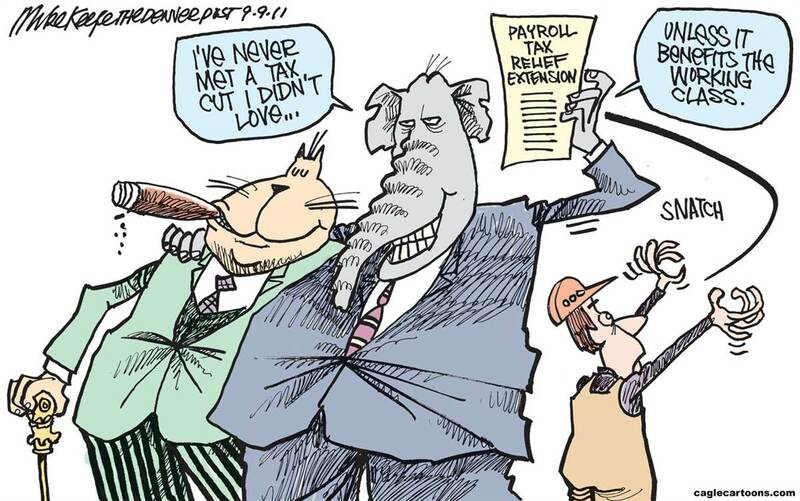 In effect, the Trump/Republicon tax cuts have not stimulated the economy at all, and, as usual, they are destroying jobs. This also means the economy is puttering along based on the actions of former President Barack Obama that saved the nation from the last horrendous Republicon president and his immense and devastating failures. This means the actions of President Trump have nothing to do with the current recovery since his signature legislative achievement is the tax cuts. 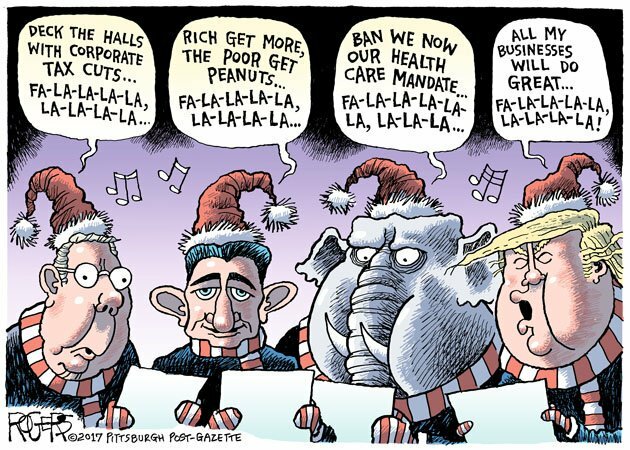 As expected, since the Trump and Republican Party tax cuts were written to benefit the rich and their corporations, only the rich and their corporations are benefiting from them, for the most part. 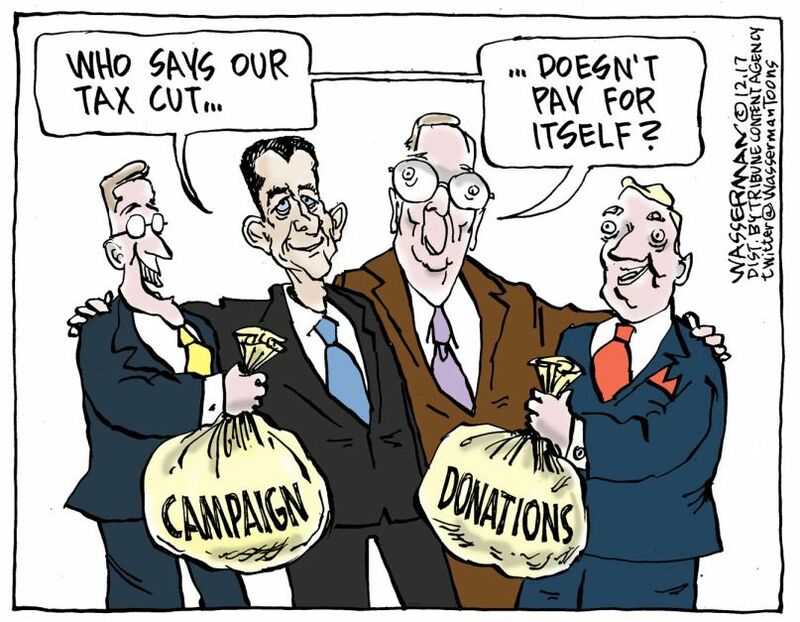 The tax cuts were intended to increase income and wealth inequality in favor of the billionaires and multi-millionaires, and that is precisely what they have done, according to a perusal of a story in the May 11, 2018 issue of the Wall Street Journal (Buybacks Surge, Steadying Market, Wall Street Journal). The Journal reports corporations can do this since the “new tax law” is “freeing up cash.” This is something corporations badly need since total US corporate profits fell during the fourth quarter of 2017. One can be reasonably suspicious that before-tax corporate profits during the first quarter of 2018 might also have fallen, especially since the US and world economies are at the tail end of an economic expansion. Those first quarter statistics are not yet available. One can be reasonably suspicious that, as I pointed out in a previous story, much of the tax cut money would be used by corporations and the rich to fuel the stock market higher, rather than create jobs building products for which there is no demand. The S&P 500 peaked at $2853.53 on January 26 of this year. It has been down ever since, influenced to a large degree by the fall in fourth-quarter profits. The Dow also peaked in January and has been down since then. This is likely why investors are fleeing the stock market. When the Journal reporters write about “investors,” they are not writing about you and me. They are writing about billionaires, multi-millionaires, Wall Street Banks like Goldman Sachs, hedge funds, wealth fund managers, and other financial institutions that invest mostly for rich people. So corporate managements are buying their own shares and taking them off the market. This is done in order to push share prices higher, which is a simple case of supply and demand. Reduce the supply of shares on the market, and this should jack up prices, so long as no other variables happen to come along. One of which is the decline in corporate profits. Of course, there is something else CEO’s of corporations are doing to entice investors into the market. They are taking the savings from tax cuts and offering higher dividends, which are payments made to shareholders. Notice these payments will go mostly to billionaires and millionaires, along with the higher priced shares due to the buybacks. So the stock market bubble continues thanks to the Trump/Republican tax cuts for the rich and their corporations. Naturally, this only increases income and wealth inequality. Worst yet, with a recession right around the corner, all that money in buybacks and increased dividends is simply throwing good money after bad. As a final note, I should point out that the Journal reporters (Ben Eisen and Akane Otani) are either stupid, poor reporters, or liars. They write, “The S&P 500 is up only modestly for the year.” Apparently, they do not count the month of January as being part of the year 2018 because that is when the S&P 500 reached its peak value, at least according to Yahoo. On the other hand, they write, “…many analysts believe major indexes would have suffered losses without the support of buybacks.” This is, of course, the purpose of the buybacks. There is no doubt about the purpose of the tax cuts for the rich; increase income and wealth inequality in their favor and at the expense of the 99 percent. The federal government is now looking at reducing programs for the infirmed, the needy, the elderly, children, and others, in large measure due to the tax cuts. The federal deficit is now growing, thanks to the tax cuts. Fewer taxes collected mean fewer dollars for government programs that benefit anybody except the rich. The federal government and the United States Federal Reserve Bank will only print up trillions of dollars to save the rich. 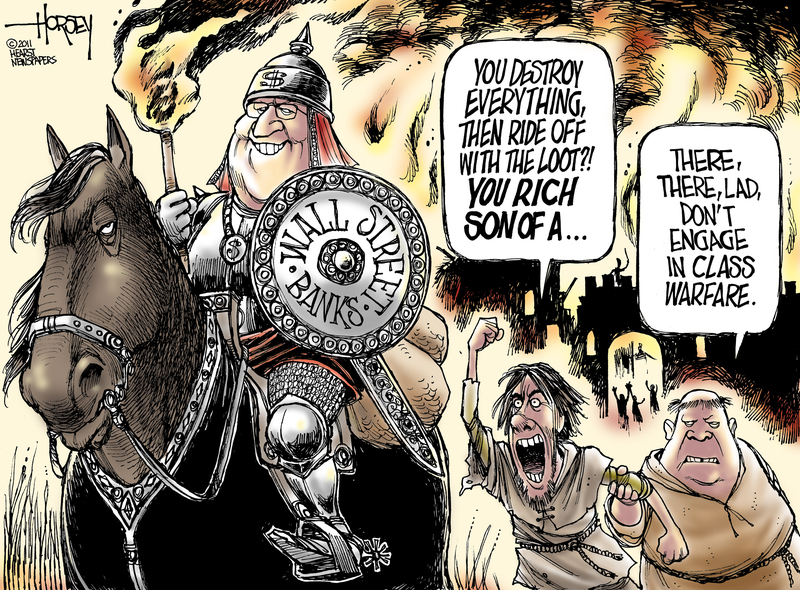 The rest of us, being cannon fodder for the rich, are expendable. Did President Donald Trump get bamboozled by his own Republican Party? Or is he simply a liar and or stupid? One thing is certain. As a so-called billionaire, President Trump received a nice tax cut at my expense as of January 1, 2018. The Trump tax cuts went into effect on January 1, 2018 and my federal taxes went up. I’m just a middle-class kind of guy with a respectable middle of the road five-figure income. The federal government took nearly 13 percent of my middle-class income out of every paycheck in 2017. So far in 2018, the federal government, thanks to those lying political miscreants Donald Trump and his Republican Party henchmen, are stealing nearly 18 percent from every one of my paychecks. 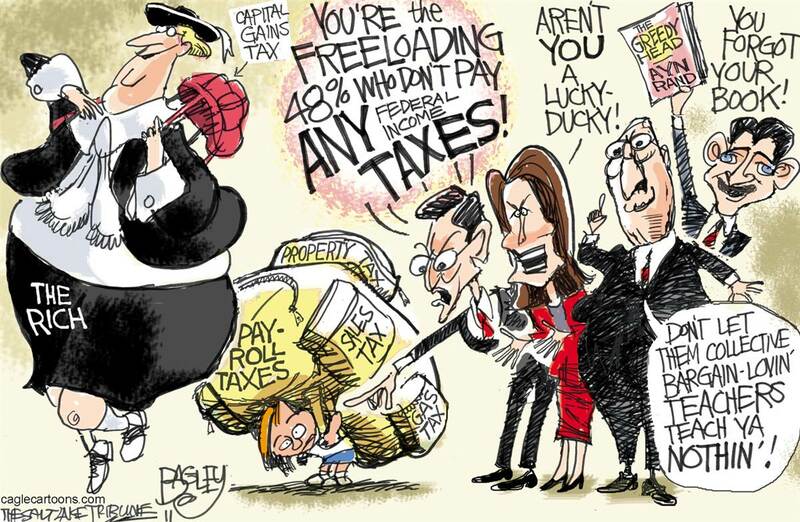 Now, I am paying 28 percent more in federal taxes while rich folks and their corporations are paying less. I am earning exactly the same amount of money per week in 2018 as I earned in 2017. So, no, I did not move up to a higher bracket. That makes it official; I am paying more so the rich and their income generating machines called corporations can pay less. And I’m guessing there are millions of folks like me seeing increases in their federal taxes so that the rich folks can pay less. Don’t get me wrong. I don’t mind paying my fair share of taxes. However, I do not like being sold something with a pack of lies in order to give corporations enjoying record profits quarter after quarter cuts in their taxes and to give billionaires and millionaires tax cuts they don’t need. That is precisely what the Republican Party has engineered with bald-faced lies, as usual. The rich, corporations, the Republican Party, and President Donald Trump have redistributed my income into the pockets of the superwealthy. No doubt millions of middle-class Americans are paying more so the rich can pay less. I want to hear about. Please take the poll below. The red line in the graph below represents borrowing to buy corporate shares. The blue line represents the growing value of the S&P 500 stock index. 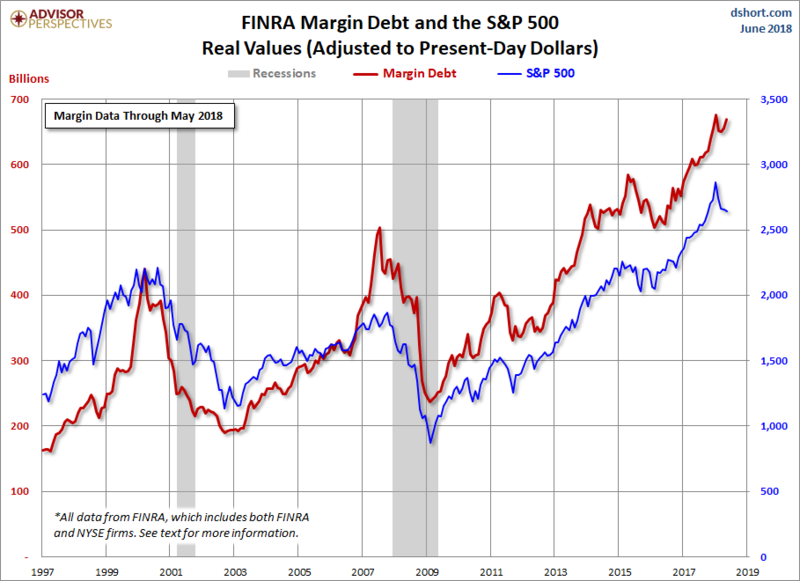 Notice the growth in the financial markets is being fueled by record amounts of debt. The growth of both clearly mirrors each other. By November 2017 (the latest data that is available), total BOM hit nearly $581 billion. Stock prices, in other words, have been bid up with borrowed money, like at an auction. Once the lunatic Trump tax cuts were passed, the already dangerously obese stock market bubble began expanding even more in anticipation of more after-tax cash going to the rich and corporations, to whom the vast majority of those tax cuts were targeted. 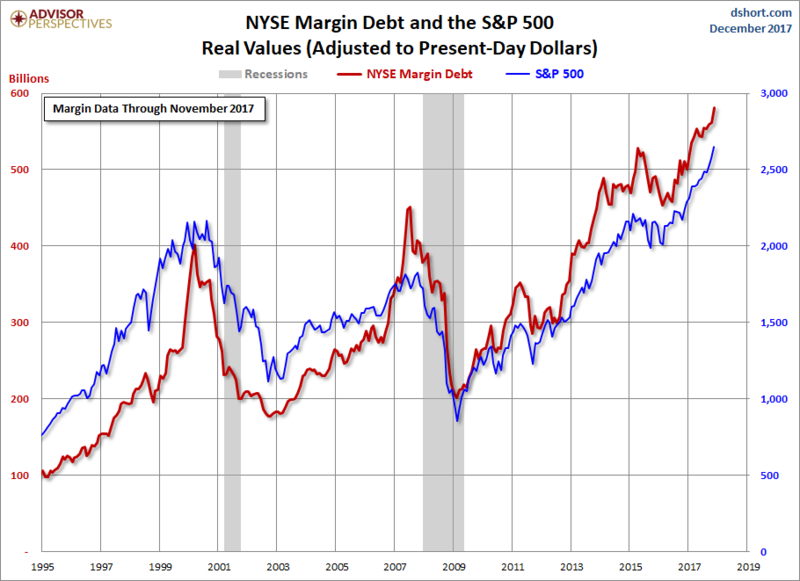 This has given corporations and the rich the leverage to borrow on margin even more in anticipation of future increased after-tax earnings. That is not necessarily always a big problem early in a business expansion when the market is going up, but it’s now late in the ball game. Our economic expansion is 103 months old (as of January 2018), making it the third longest in US history. In terms of numerous indices, such as job, GNP, and wage growth, this is one of the weakest expansions in US history. The vast majority of new income and wealth have gone to the top 1 percent, and not to the 99 percent. All of this suggests the coming crash is long overdue. When we hit this soon to arrive recession, it should be a train wreck worse than the so-called Great Recession of 2007-09. November’s total BOM was nearly $80 billion more than twelve months before. This increase is a sign of optimism or foolishness. People and institutions like hedge funds want to get in on the action while the stock markets are rising. 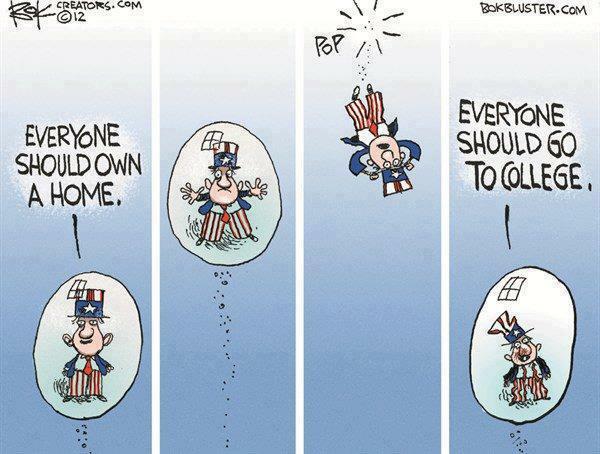 What is going to happen when the bubble pops? Suppose you have $10,000 to invest, so you purchase 100 shares of Home Depot at $100 per share. The market crashes and the share price drops to $40. Now your investment is worth $4,000. That is not a good result, but your investment is still worth something, and can potentially recover if you hang on to it in the long run. Let’s say you borrow an additional $20,000 from your broker to buy another 200 Home Depot shares at $100 each for a total of 300 shares and at a total cost of $30,000. The market crashes and the share price quickly drops to $40. Now all 300 shares are only worth $12,000 — but you owe your broker $20,000 (plus interest) for borrowing money to buy the stock. The broker calls in his loan. You are forced to sell your shares to get the funds to pay your broker but at the lower share price. You lose $18,000 of your $30,000 investment. But your broker wants the rest of his $20,000 plus interest. You only have $12,000 remaining of your original $30,000 investment, so you owe more than $8,000 to your broker. So your original $10,000 is wiped out, your loan of $20,000 is annihilated, and you need to come up with $8,000 plus interest to pay back your broker. During most recessions, it is much more difficult to get credit to pay your broker back, so you may both be out of luck, although you’ll likely be in court defending against him, her or it. On a massive scale, say trillions of dollars of investments, that’s a recipe for absolute disaster for the whole economy. Corporations of all types (which often borrow to purchase their own shares in order to jack up their share prices), as well as hedge funds, governments, investment banks, commercial banks, small businesses, other wealth management firms, etc…, will likely need to lay off employees in order to pay back the money they owe. ***Let’s also get something straight which the corporate media doesn’t want us to know; tax cuts for corporations are the same as tax cuts for the rich since corporations in great measure pass on their tax cuts to the wealthy via higher after-tax corporate profits, rising share prices and surging dividends. ***As an aside, your government has allowed a conspiracy in restraint of trade in the housing market to be the primary fuel that ignited this current stock market bubble. 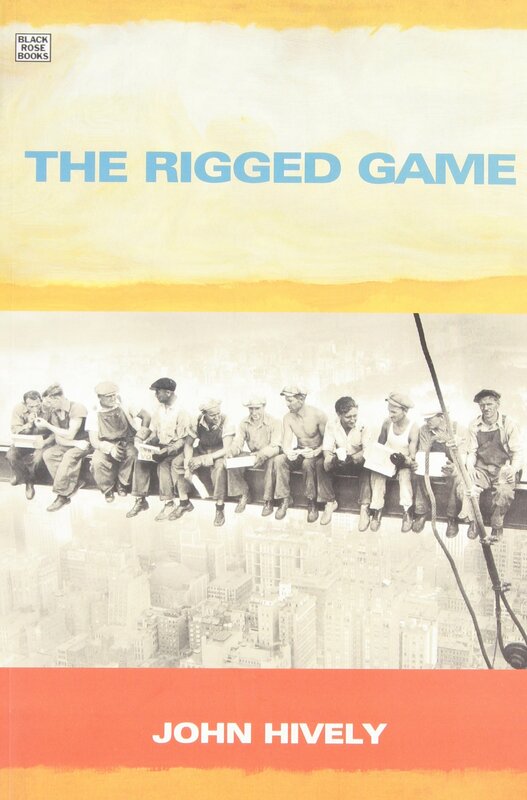 See The Big Banks Are Manipulating the Housing Market–JohnHIvely.wordpress.com. The federal government initiated the student loan program in 1958 in response to the launch of Sputnik the year before by the Soviet Union. “High school students who showed promise in mathematics, science, engineering, and foreign language, or those who wanted to be teachers, were offered grants, scholarships, and loans.” In 1965, the government passed The Higher Education Act, which provided more college grants to students, especially lower-income students. The Pell Grant was established for students in 1972 (Citlen). Then somebody on Wall Street came up with the idea of securitizing student loans, which meant pooling student loans, selling them to investment companies, which would then issue bonds to investors backed by the loans. Student loan payments would primarily go to the investors, with a little to spare to pay for the service providers. From a Wall Street point-of-view, billions of dollars a year could be made in fees every step of the way with every securitized student loan. Subsequently, Wall Street investors successfully pushed government legislators to reduce grants and to issue more student loans. That is how the US government, as well as politicians of both political parties, has used the student loan program to redistribute billions of dollars of income yearly from the 99 to the 1 percent via the conduit of student loan-backed bonds. This forced students to borrow more money to help finance their higher education than would otherwise be the case, making loan defaults more likely, especially during economic downturns. The Great Recession hit in December 2007 and lasted until June 2009, but the negative effects of this disaster have continued. The government, of course, is working hard to disguise how bad the situation really is. Five years ago, fearing an increase of student loan defaults, and a massive devaluing of the student loan backed bonds they owned, investors began selling off their bonds, which resulted in declining values. They couldn’t stand this. Something had to be done to restore investor confidence, and so the federal government doubled student loan interest rates on all new loans from 3.4 to 6.8 percent on July 1, 2013 (Sheehy). This increased the return on investment while doubling the burden on the 99 percent who take out new loans to finance their college education. The public outcry was so heavily against this increase politicians felt compelled to reduce student loan interest rates within a year. The burden for students and their families had been too great. The US government dropped the rate to 4.9 percent in 2014, which was still a nearly 50 percent increase over 3.4 percent (Lobosco). Doing so, however, stabilized the market for student loan-backed bonds. Dictionary.com defines “crisis” as “a dramatic, emotional or circumstantial upheaval in a person’s life.” Student loans are a perfect example of such a crisis in the personal lives of borrowers. In 2016, total outstanding student loans represented roughly 7.5 percent of the United States gross domestic product (GDP), up from 3.5 percent only ten years earlier (ACE). 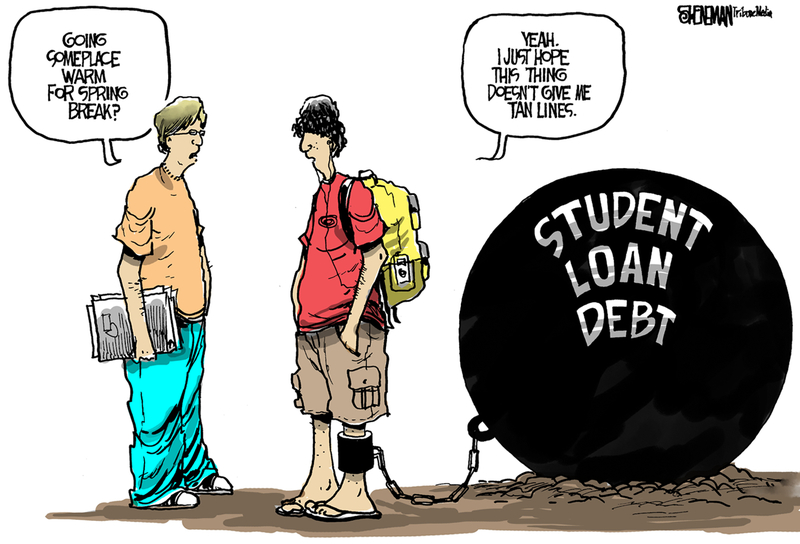 Nearly 43 million Americans were chained like slaves to rich bondholders via student loan debt, each with an average balance of $30,000 in 2016 (Friedman). The cost of university education has grown faster than the value of Federal Pell grants (in current dollars) since 1976. The average Pell grant in 1976 paid 72 percent of the maximum cost of going to a public four-year college or university. This figure grew to 79 percent in 1979. Nowadays, the average Pell grant is less than half of that, hovering inside the 32 to 34 percent range (ACE). 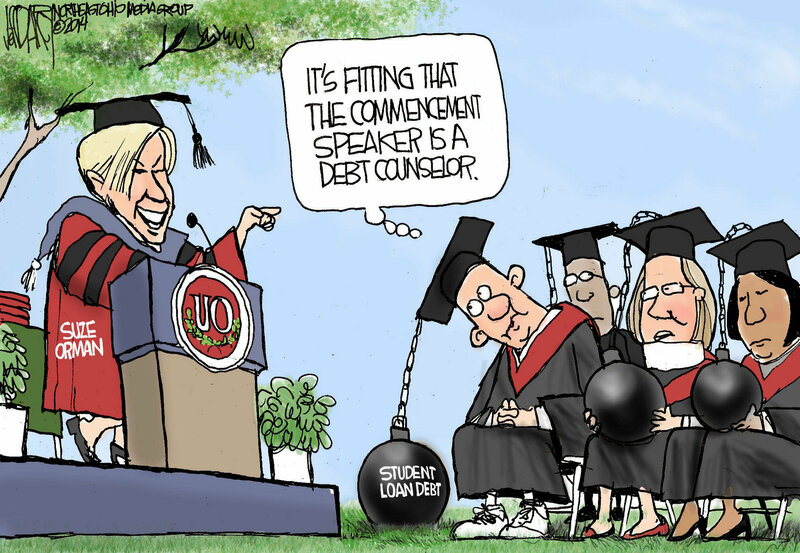 Therefore, students have had to increase their borrowing to fund their higher education and Wall Street investment banks and investors of the 1 percent all benefit from this higher student loan debt. As the negative economic consequences of the Great Recession of 2007-2009 slowly gave ground to better times, student loan defaults fell, from nearly 15 percent in 2013 to 11.8 in 2015 to 11.3 percent in 2016. 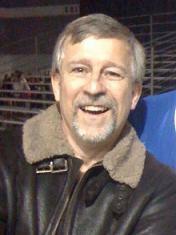 Defaults occur when former students go 360 days without making a payment. About 593,000 former college students out of 5.2 million total borrowers were in default on their federal debt as of Sept. 30, 2015, the US Department of Education reported. Default rates at public and for-profit colleges dipped, while private, nonprofit schools experienced a slight increase (Nasiripour). The share of student borrowers paying down their loans more accurately reflects what is occurring than default rates alone (EPI). The report noted that a rising number of students are unable to make payments on their loans, but manage to avoid defaulting. Because of this, the report stated the actual default rate at four-year institutions is about 12.5 percent, and 25 percent for community colleges. For-profit colleges and universities have a 30 percent default rate. 41.5 million Americans owed more than $1.4 trillion federal student loans by the end of 2016. About one in every four borrowers is either delinquent or in default the report stated. Furthermore, “total indebtedness has doubled since 2009” (Nasiripour). However, it turns out the White House report understated the numbers by quite a lot. Leaked documents showed only 46 percent of students out of school three years or more are paying down their student loan debt (Obama’s Student Loan Fiasco). This means 54 percent are not paying down their loans. Something else is terribly amiss as well. To be among the 46 percent, you cannot be in default, and you must have paid down the principal of your loan by at least one dollar. So if somebody who has owed $30,000 in student loans since they graduated from college ten years ago paid a dollar on the principal of their loan eight years ago, they have officially paid down their loan and are among the 46 percent. In other words, the bar for those who have not defaulted and are paying down their loans are about as low as one can get. The government is paying the interest on student loans to bondholders for people who cannot pay down their loans. In other words, the rich are getting richer at the expense of the government and those who are paying down their student loans. Clearly, tens of millions of people are in a state of personal crisis when it comes to student loans they cannot pay off. In addition, the next economic downturn may bring about a crisis in the financial markets centered on student loans, just as it occurred last time, only it will likely be worse. That economic crisis is looming. People who have left higher education institutions saddled with an average of $30,000 in debt and limited job prospects are facing a crisis, which will only bring about another crisis in the student loan-backed bonds markets. Student loan debtors have other debts and bills to pay that turn their student loans into tens of millions of individual financial catastrophes, forcing them to spend years postponing payments so they can make their monthly mortgage payments, rent payments, put food on the table, pay their monthly bills, and raise their children. People go to universities to increase their earning power so as to enjoy greater fruits of their labor. However, the growth of wages and salaries for most people have been flat or in decline for the last thirty-seven years when the official inflation rate is factored in. However, there is significant evidence this official rate is heavily understated, which means people are coming out of college and earning less in real terms than their parents thirty-seven years ago. This is why many people remain mired in student loan debt. Prices are going up faster than their earnings. They simply cannot pay it off and are forced to postpone payments for years and decades. The remedy to this situation is to increase Pell Grants or simply make college free. According to the nonpartisan Office of Budget Management, the US government is giving the 1 percent and corporations $1.5 trillion dollars over ten years with the new Republican tax cut. Surely the US government can afford to provide such a sum to the middle class via a similar amount, thereby rendering college free. Studies clearly show this would be good for the US economy while there is not one scrap of evidence the tax cuts will do anything positive for the economy. Student loans are an example of the golden rule of massive US government corruption; he or she who has the gold makes the rules that redistributes income and wealth their way from the less financially well endowed. Nobody knows this better than Wall Street Senator Ron Wyden. Carrillo, Raul. How Wall Street Profits From Student Debt, Rolling Stone. Rolling Stone Magazine, April 14, 2016). The United States Federal Reserve Bank issued a report in September 2017 showing the top 1 percent of US income earners own almost twice as much wealth as the bottom 90 percent of Americans. According to the Fed’s report, the bottom 90 percent of citizens have seen their wealth fall from nearly 38 percent of total US wealth in 1989 to 23 percent today, a 40 percent drop. Meanwhile, the 1 percent has seen their share of wealth grow from just under 30 percent in 1989 to 38.6 percent today. In the same report, Federal Reserve researchers reported the rich took a record-high 23.8 percent of the overall US created income in 2016, up from approximately 8 percent in 1980. The report showed the bottom 90 percent of families now make less than half of the country’s income. That figure slipped to 49.7 percent in 2016, down by more than 20 percent since 1989. A perusal of the U.S. Bureau of Economic Analysis (BEA) shows total US corporate profits hit their highest level ever in the third quarter of 2017. The next three highest were during the three quarters preceding the third quarter. Corporate after-tax earnings were also at their highest levels during the past four quarters. This shows US corporations are doing fine without the tax cuts. According to the BEA, despite record aggregate corporate earnings in 2017, average monthly job growth was lower than in 2016. Rather than increasing jobs, much of those record earnings are providing higher dividends and share buybacks. Both of these are done with the intention of raising share prices, thereby fueling an already dangerous stock market bubble. There is a good chance that much of the corporate tax cuts will be used to increase dividends and find ways to increase share values, which redounds mainly to the rich. In a research report for the National Bureau of Economic Research, economist Edward N. Wolff shows that the top 1 percent own 40 percent of all corporate shares, while the 90-99 percent own 44 percent, as of 2016. That means the top ten percent will be the primary beneficiaries of the new tax cuts for corporations, increasing both their income and their wealth relative to everybody else. Thus, income and wealth inequalities are certain to increase under the newest Republican tax cuts. People may reasonably suspect the tax cuts were written to ensure this result, and with potentially dire results. The stock market bubble may grow bigger than would otherwise be the case in the absence of the tax cuts. 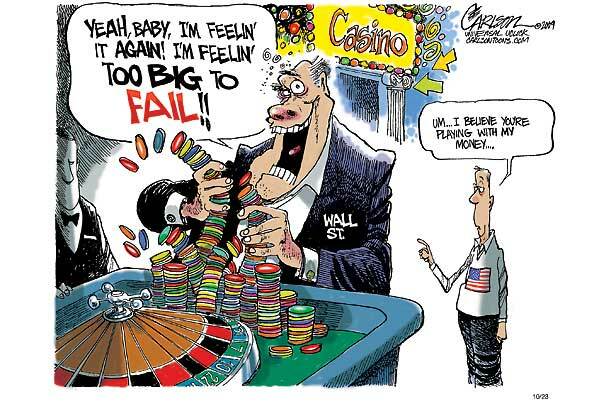 Once the bubble bursts, the 99 percent will likely be the principal victims in the form of higher unemployment, reduced incomes, home foreclosures, increased homelessness, and all the things that historically come with the bursting of stock market bubbles.